Inspired by classic vintage designs, the artisans at Kirk Kara create traditionally styled bridal pieces for the contemporary and fashionable bride-to-be. Internationally recognized for their one-of-a-kind designs, Medawar Jewelers is proud to offer an exclusive assortment of Kirk Kara engagement rings and wedding bands perfect for sophisticated brides. Crafted from the finest 18-karat white gold and rose gold, signature Kirk Kara details include intricate hand engravings, colored gemstone accents, along with expertly placed diamonds of all shapes and sizes. Proud to bring the people of Michigan the latest and greatest in bridal fashions, Medawar Jewelers now extends selections from Kirk Kara that are sure to bring a lifetime of happiness to the brides and grooms who wear them. As providers of the most fabulous bridal designs available, Medawar Jewelers is thrilled to match couples with their ideal Kirk Kara creation today! As an authorized retailer of Kirk Kara, in the five Michigan locations of Medawar Jewelers individuals are able to explore from an incredible, and 100% authentic, selection of Kirk Kara designer-made pieces. First, for couples in search of unparalleled glamour, exquisite design, and diamond brilliance, from Kirk Kara comes the exclusive Artin collection of men’s wedding bands, as well as the Charlotte, Angelique, Carmella, and Dhalia collections of breathtaking women’s diamond wedding bands. 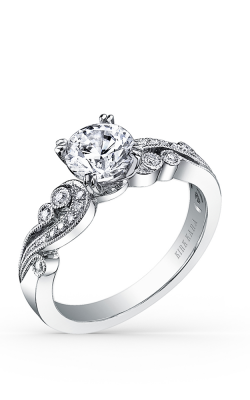 Further, and most exciting for our Michigan area guests, are the gorgeous lines of engagement rings from Kirk Kara. Available today are award-winning pieces from the Angelique, Carmella, and Charlotte engagement ring collections. The Engagement rings of these collections offer brides the opportunity to pick from floral-inspired bands, Art-Deco style pieces, and colorful diamond accents. 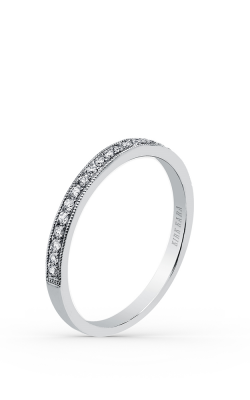 Additionally, Medawar Jewelers is proud to offer the Dhalia, Pirouetta, Stella, and Lori collections whose rings boast double haloes, split shanks, and filigree detailing. Stunning from every angle, Kirk Kara’s large line of captivating engagement rings and wedding bands are sure to perfectly capture a couple’s love forever. Founded in 1978, with their flagship West Lansing showroom, Medawar Jewelers has continued to excel at their mission to bring the people of Michigan the latest in bridal and fine jewelry fashions for nearly 40 years. With five convenient locations in Brighton, Portage, Okemos, Jackson, and West Lansing, Medawar Jewelers makes it easy for customers to find engagement rings, wedding bands, timepieces, and fashion jewelry perfect for any occasion. Further, committed to customer satisfaction, Medawar Jewelers extends risk free shopping, easy financing options, jewelry repair, as well as the Medawar Lifetime Promise on all purchases made in their showrooms.